The warning will come into place at 6pm and will remain in place until 3pm tomorrow. THIS MORNING’S FROST will clear quickly with temperatures rising to 10 degrees later in the day. A low temperature warning will remain in place until 9am this morning with temperatures as low as -4 in many areas. Met Eireann says the weather will be mostly dry and bright today but rain will push into the western and southwestern areas in the evening. A status yellow rainfall warning has been issued for eight counties in the south of the country. It affects Carlow, Kilkenny, Wexford, Cork, Kerry, Limerick, Tipperary and Waterford. 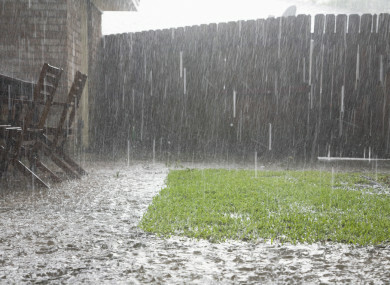 Up to 50 mm of rain is expected with a risk of flooding following the heavy rainfall. Email “Rainfall warning for eight counties in the south of the country”. Feedback on “Rainfall warning for eight counties in the south of the country”.